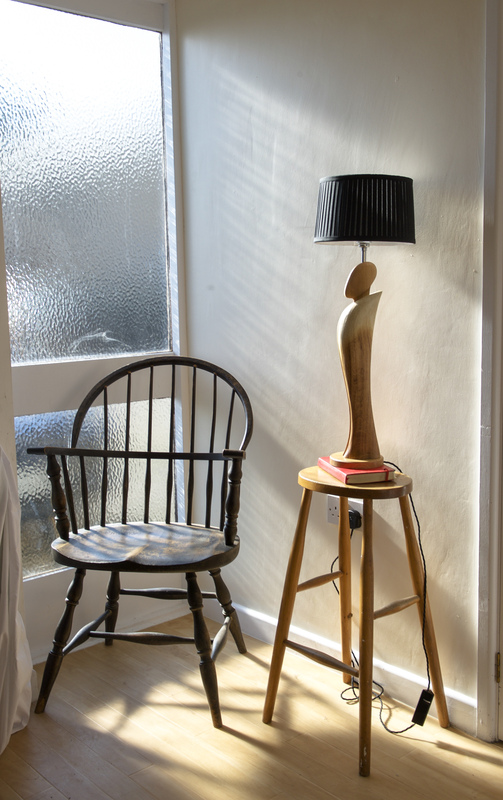 Table lamp made from two halves of air-dried English oak with weathered shoulders achieved from bleaching and leaving an off-tooled finish to achieve a ‘driftwood’ effect in keeping with the original brief. I chose the end of the board to make use of the natural cracks that are usually cut away as waste. The core and head is made from Caucasian Elm, a wood that while being much more difficult to work than most traditional woods, has lovely golden tones and distinctive grain. Caucasian elm also had a particular sentimental significance for the client.